Hey, Monday again, our “cool hunting day”. As usual, in this post, I will present you 10 Creative and Innovative Product Design I found in last week… And hope you also like them… Check our menu, what we have in today’s cool hunting journey. And also hope this post will give you some last minute gift idea for coming Christmas. 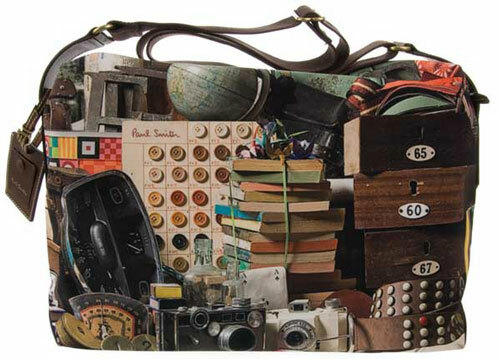 Paul Smith’s ‘Photograph’ collage bag, and as you can see, it’ll make you look like you’re carrying around pretty much everything but the kitchen sink, including books, cameras, a globe… It’s very cleverly done, and the kind of thing that makes us want to keep looking, but, being the neat-freaks that we are, we’re not sure we’d want to actually carry it around with us. I guess, thief must be confused at sight of this bag, probably don’t how to get things out. 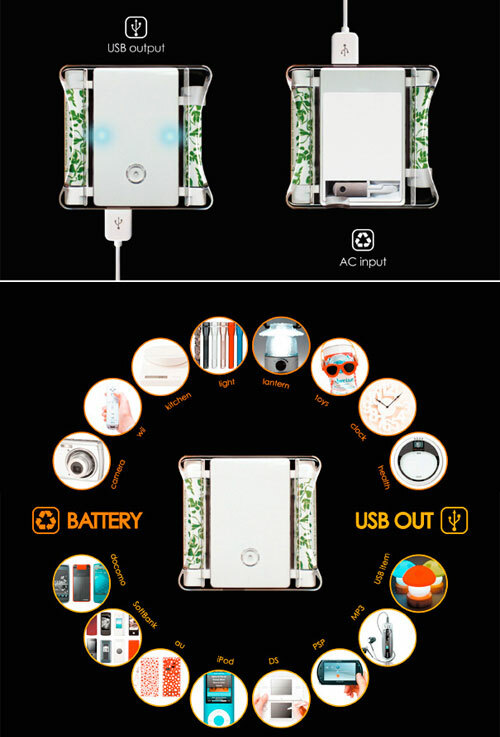 There are a number of products that provide a breath of fresh air, introduce a taste of spring through their bright colors, are original in design, and are functional. And Shoe Tree Tulips is definitely one of them. Shoe Tree Tulips is blind mounted with two galvanized panhead screws, 5.0 x 60 mm, fully threaded and 2 wall plugs. Screws and wall plugs are included. And if you really have lots of shoes, that´s no problem! Join several Tulips together and create a large and whimsical tulip flower bed. Your shoe decoration possibilities will be endless: by color, by Designer, by style, and, and, and … an absolute dream! 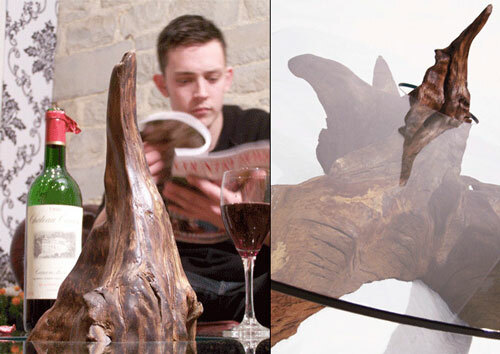 Idex in the shape of animals that seem to jump right out of – and back into – your books. Decorate your shelves with these amusing indexes by inserting them among books or CDs, or using them as a way to mark areas where you removed an item. 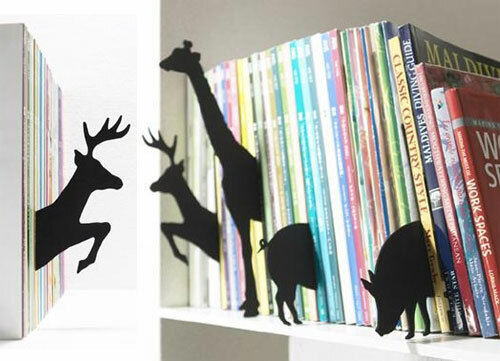 These animals will playfully make their home in your shelves. 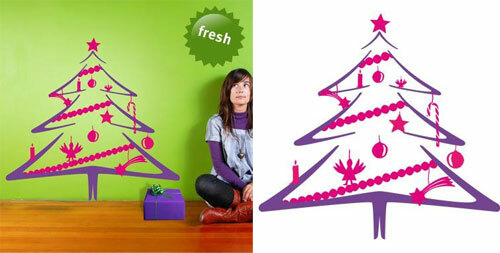 This Christmas tree is probably the most handy one, you can desire. Easy to transport, even easier to set up (well: to stick down), and it is already decorated in this season´s trend colours pink and violet! Let´s call it the perfect tree! One from the Heart brings a dash of unconditional love to you, every day, at the switch of a button! Lightweight, unusual and no strings attached. 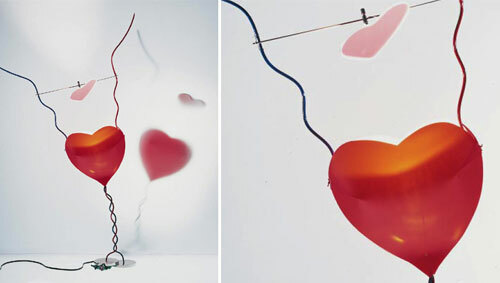 Within the red heart is a mulit mirror reflector with safety glass. Above the heart, an agile glass mirror directs the streams of light. One From The Heart can be delivered with a cord transformer or an electronic transformer-sensor-dimmer Touch-Tronic. Now flowers mount up the wall! The inventive Wall Vase brings life to your rooms and is a real eyecatcher. 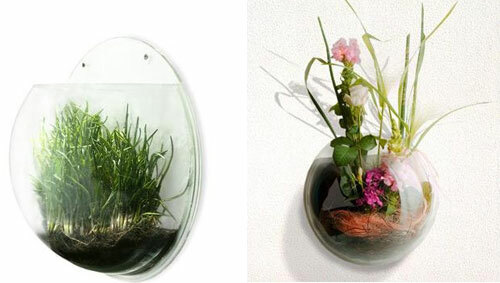 The Wall Vase seems like a living picture at your wall. Be creative and design the vases´ look: fresh flowers, maybe water lillies, a bouquet of dried flowers or some fresh kitchen herbs … Everything is possible. The Vase is delivered with two srews and two anchors for mounting it to the wall. 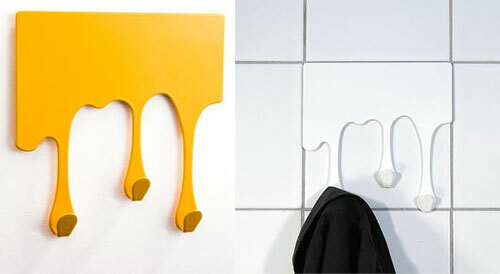 Drop XS is a stylish triple hook for the wall. …like a splash of color that´s dripping down the wall, Drop XS is the ultimate living accessory for those who prefer a unique style of living. In most cases it covers exactly the space of a standard tile, 15 x 15 cm. Just combine different colors of Drop XS for an unique pattern on your wall! An eye-catcher for bathroom, kitchen, hall … it´s all the same – 3 funky drops, ready to mount with self-adhesive tape on the backside, hanging solid and safe on the wall and maintaining order. Drop for drop. It is literally a stump, forced to the surface 50 years after the death of the tree it supported. After surfacing, it was cleaned, polished to a sheen, and made ready to support it’s new charge. The business for it now? A lovely 10mm glass tabletop.The glass is 10mm thick, toughened and clear, cut to slot over the upward facing root in the center. With the help of carbon fiber rod, it rests firmly on the five remaining root arms, ready for all of your books about ancient trees and the million year old oak forest and all that super stuff! 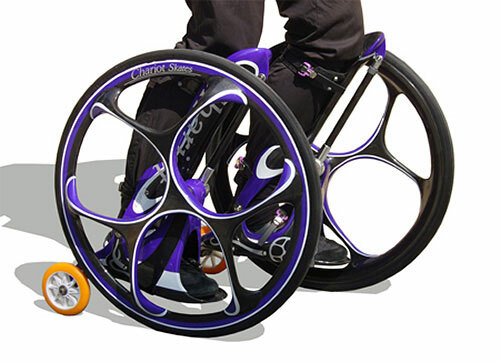 This carbon fiber “wheel skates”, called Chariot Skates($TBA). It looks like a wheelchair that’s been split in two, and each half attaches to your legs. Each Chariot skate has a knee-high main wheel in which your foot is strapped in and suspended just below its axel. For added stability, there’s a smaller wheel near your heel. They only weigh about 5.5 pounds each. Now they are still in the testing phase, and scheduled to be available in June.